Costa del Mar is a NEWLY RENOVATED home in Destiny by the Sea, directly across from the beach. Come and experience the height of luxury and relaxation in this large, comfortable home located in the exclusive gated community of Destiny by the Sea. 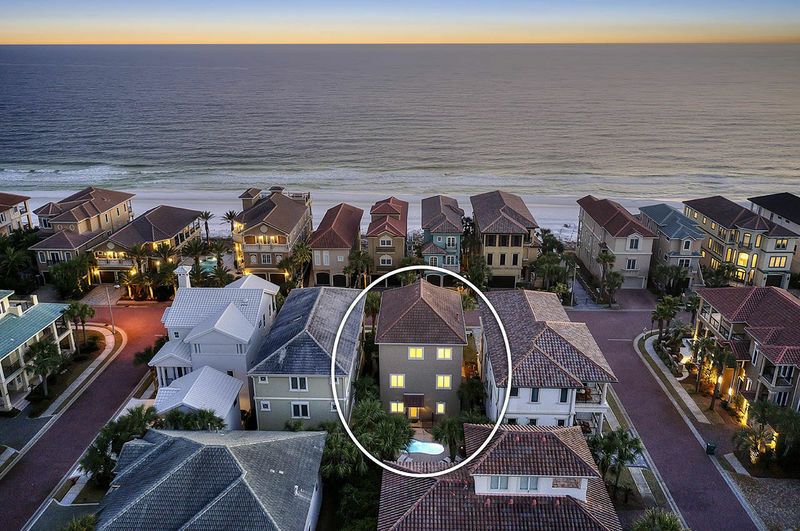 From the Gulf views to the convenience of being only steps away from beach access, along with a private jetted pool, this 3,500+ square foot home will help in creating lifelong memories with your loved ones. 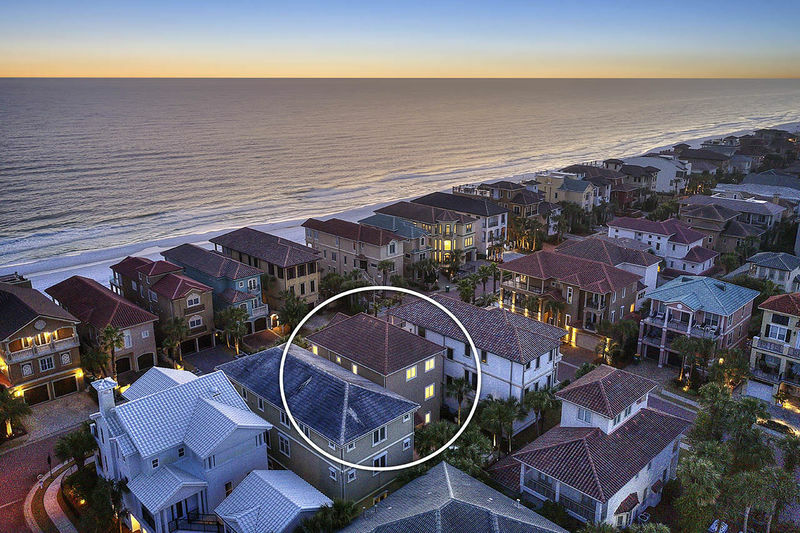 The home is located only one lot from your beach walk-over — so no need to drag that cooler through the neighborhood! Last-minute discounts are available for this gorgeous home! All are welcome to Costa del Mar, with a central elevator servicing all floors. Children have their own space on the spacious first floor with a large bunkroom and three sets of bunk beds, along with their own den, kitchenette, laundry room and two full baths. Flat screen TVs and Blu-ray players are throughout all bedrooms and in all den/living room areas. Spend time at the nearby beach or enjoy the privacy of the fenced-in backyard with a private pool. Relax with pool-side lounging on the provide pool chairs or jump right in for a refreshing swim! The pool can be heated for an additional fee to keep the water at a comfortable temperature no matter what time of year you visit. 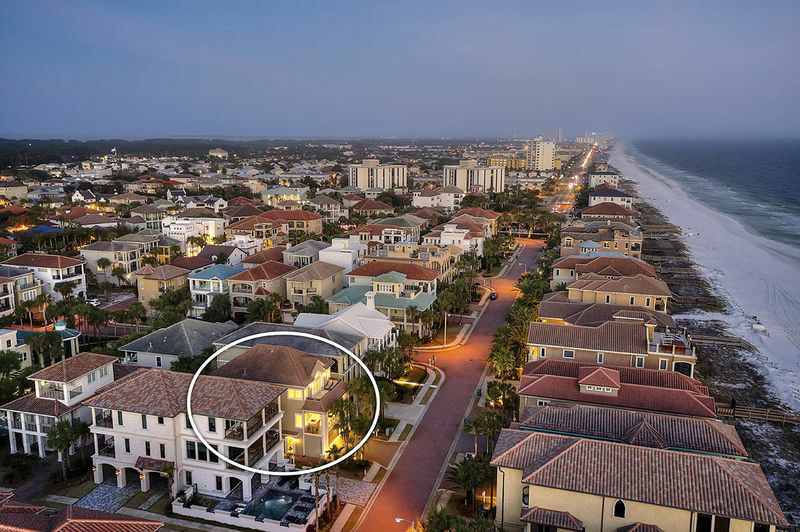 Listen to the soothing waves from the second-story covered balcony (with grill), which connects to the main living space. An open family room, gourmet kitchen, and spacious dining is the perfect place to hang out with family and friends. Two additional bedrooms with king beds and both a full and half bath also complete the second floor. The third floor leads to yet another balcony where you can hear and see the beautiful private Destiny beach. You will also find two luxurious king bed master suites, along with a twin/twin bunk in the hall. The front king suite includes a sitting area, soaking tub, two-person tiled shower, double vanities, and plenty of space to unwind. The back king suite includes its own bath with double vanities and large closets. Beach living simply does not get better than relaxing at Costa del Mar!